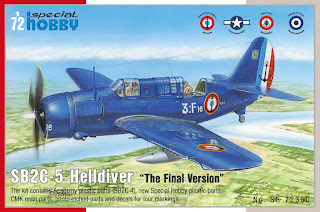 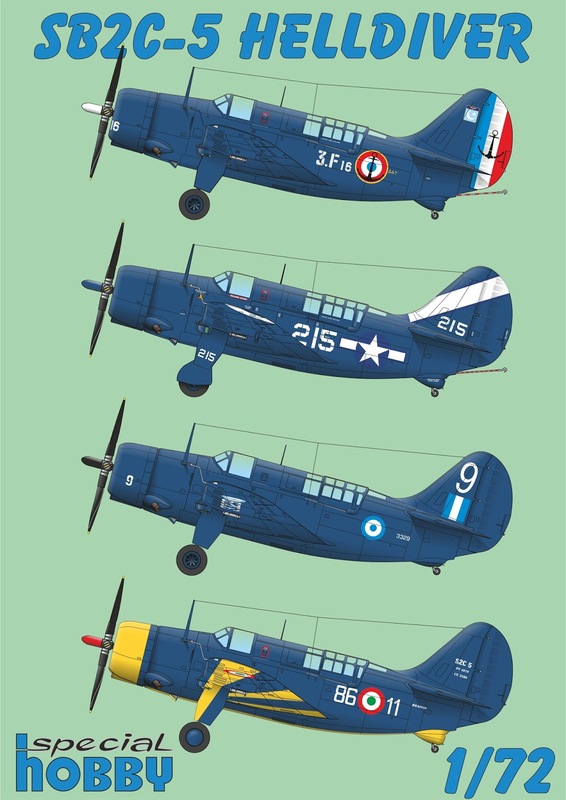 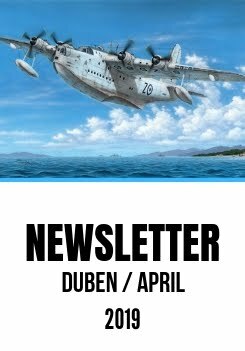 Our upcoming Helldiver release will contain four different marking options, one French machine that saw action over Dien Bien Phu in Viet Nam, an American machine fighting during the closing stages of WW2, a Greek machine used agains ELAS (Greek communist insurgents) and also one Italian aircraft. 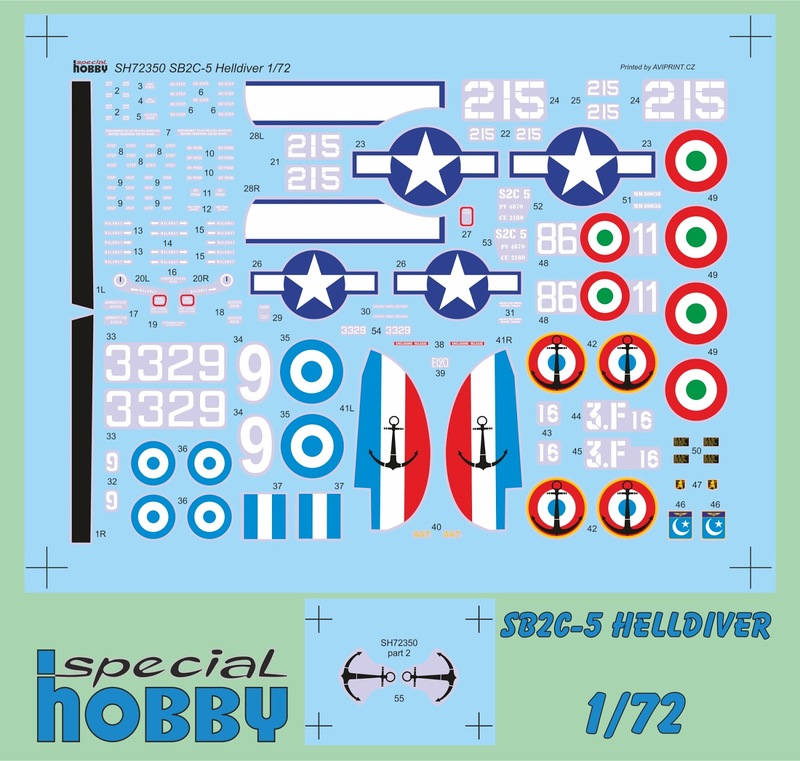 The decal sheet caters rather meticulously also for the plentiful stencils seen on the Helldiver. 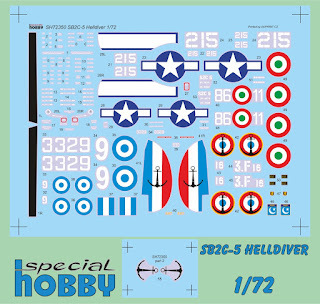 Some modellers may welcome the option of a separate French anchor marking printed in the smaller sheet enabling them to spray paint the Helldiver rudder rather than apply a huge tricolour decal. 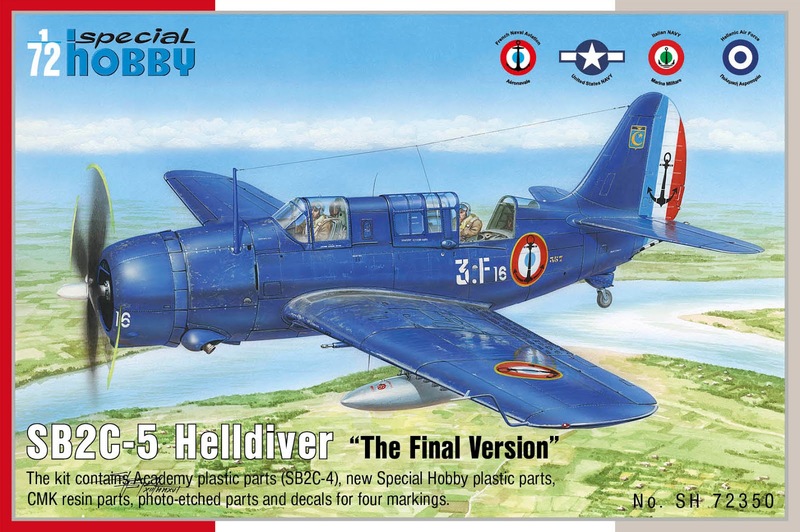 For this Dash Five version, a special clear sprue has also been prepared here at SH containing a different style of the sliding canopy section. 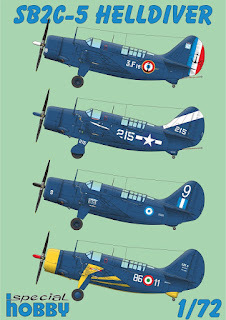 Do not pay attention to those two smaller flat windows meant to be used with different version.